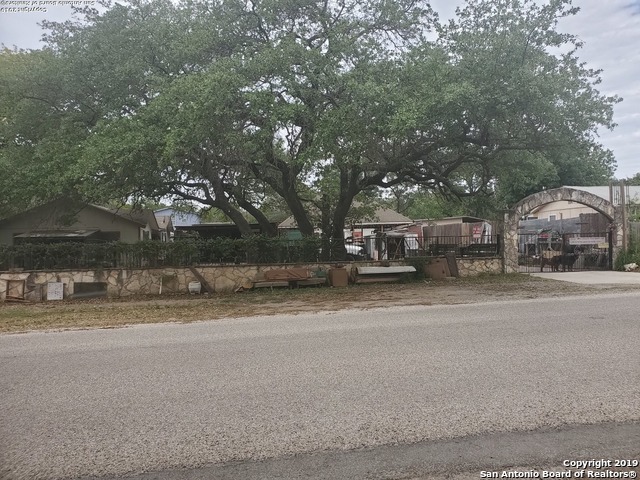 All Poteet homes currently listed for sale in Poteet as of 04/22/2019 are shown below. You can change the search criteria at any time by pressing the 'Change Search' button below. "Spacious Country living and Close to town! This 4/3 Brick home with detached 4car carport and 1200SF separate dwelling set in back portion of property for cozy and peaceful living. 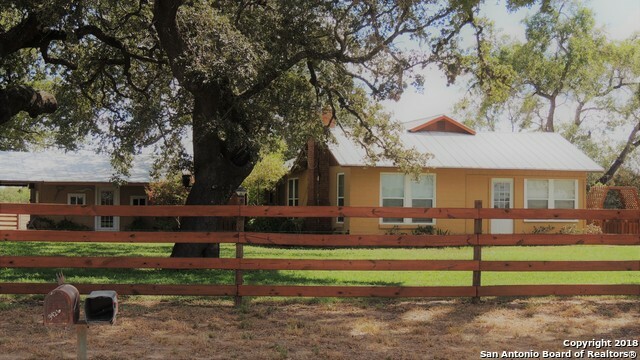 Property has Oak trees, fenced on 3 sides, a gated entrance, and a 3 horse barn with tack room. Home is approx 3200SF, nice sized rooms, bathrooms, and lots of living space. Tons of potential. Horses, Cattle, Farm animals allowed." "Country Living! Luxurious Custom Home 4 Br/4.5 Ba 2 story Home That Sits On a Very Serene 5 Acre Lot Surrounded By Mature Trees in Atascosa County*40 Mins From Downtown San Antonio and Shopping Malls*Home Was Carefully Designed For Entertainment and Privacy*Ample Parking & Plenty Of Space For Outdoor Activities* Welcome To HOME SWEET HOME"
"Exceptional country estate with two homes recently renovated. Large covered breezeway porch and patio perfect for entertaining. Water well used for maintaining stock tank as well as watering yard and rural water system for the houses. Stock tank, barn with stalls, tack room, fenced, cross fenced and ready for horses. Large oak trees, lightscaping and green house. 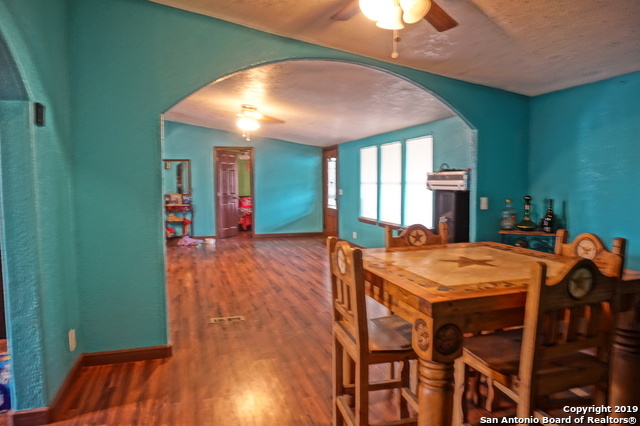 This property is a must see and only 35 minutes from downtown San Antonio." "Wow! This is a fantastic find. Beautiful new home on a park like almost 4 acre lot! This is a wonderful home with so many features. 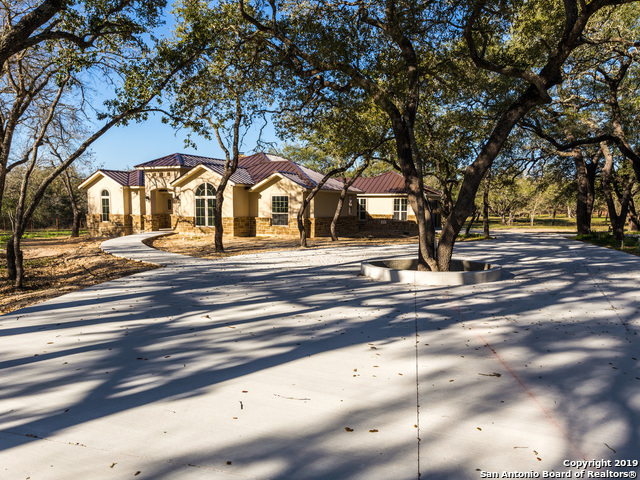 Exterior has a winding driveway, stone and stucco, aluminum roof, entire lot surrounded by metal fence plus an over sized covered patio with outside kitchen! Interior boasts tile thru out, huge master suite, split bedrooms, huge island kitchen, new appliances, large fireplace, spacious utility room, high 9' & 10' ceilings and so much more! This house is ready to go!" "Luxury in the country! Step foot inside this fabulous home and you will not believe your eyes! Over 3400 sq.ft. of custom features that include 4 bedrooms, 3.5 bathrooms, common family room, game room, oversized master bath, 2 eating areas & strategically placed utility room. Custom kitchen cabinets, solid counter tops, tray ceilings and unique custom tiling throughout the home. Attention to detail in every room! Exterior includes two covered patios, exterior storage shed, 3 car garage and majes"
"Come show this wonderful home located in a corner lot with a circular driveway. Nice front porch. This home offers plenty of shade in the backyard with mature trees. Huge driveway for guests and an over-sized garage. Metal roof,a screen-room,partially covered patio off Master bedroom. Open floor plan. Plenty of cabinets with granite counter-tops. High ceiling in Living room with plenty of natural sunlight. Storage shed in the back with privacy fence. Irrigation system front & back. Plenty of st"
"1 acre lot, vinyl windows, all cement board ext.trim, Rock stucco front, 2-8ft x 10ft garage doors, Fiberglass exterior doors, Front and back porches, custom tile showers, ADA toilets, All wood custom cabinets(self closing hinges) Appliances included(Gun Metal Grey Finish)-LG Refrigerator, LG Glass stove/oven, LG Microwave/vent hood, LG Dishwasher, 2-stage whole house filtration, whole house water softener, Vaulted ceilings in living room, Cement drivwayand sidewalks,Trane HVAC System w/ nest th"
"Enjoy country living in this exceptionally maintained home that sits on nearly 2 acres! Gorgeous open concept that boasts beautiful wood floors and high ceilings." 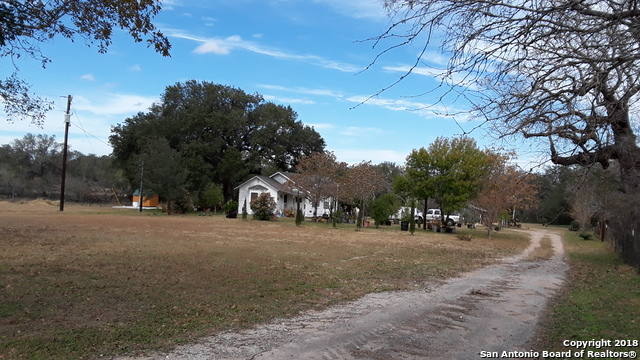 "Beautiful Country Home set on 1.75 acres of land in the the Subdivision of Twin Oaks Estates north of Poteet Texas. We are 26 miles south of San Antonio Texas. Home was custom built with 3 bedrooms and two baths. 10' ceiling height in most rooms; Hardwood flooring in Living Room one bedroom and Dining Room; Ceramic tile flooring in kitchen and bathrooms; Granite kitchen and bathroom counter tops; Over-sized walk-in shower in master bathroom; Ceiling fans Central air, Patio, Attached 2 car Garage"
"Easy commute to SA on Hwy16 S, 1-1 Barndominium,new paint , new walk-in shower, painted concrete floors, all under 3300Sqft concrete, patio.2 car, RV parking+ small storage.Separate septic.electric and water in place to build your dream home or add tiny homes for extra income & private well & city water, Endless possibilities,28'x36'metal barn with concrete floors,cross fenced,50x50 fenced garden, 10 minutes from Toyota"
"This cozy 2 story home is located out in the countryside of Poteet, Tx. This is a 3 Bedroom w/2 Full bath, Newly remodeled 2nd bathroom. Owner has also installed ac/heat unit, new kitchen cabinets and countertops, with Two storage sheds that are staying with the property that sits on 2 tracts of land combined at 4.56 acres of land that is surrounded by beautiful trees." "This home is the best place to call home. This Move in ready home will not disappoint! 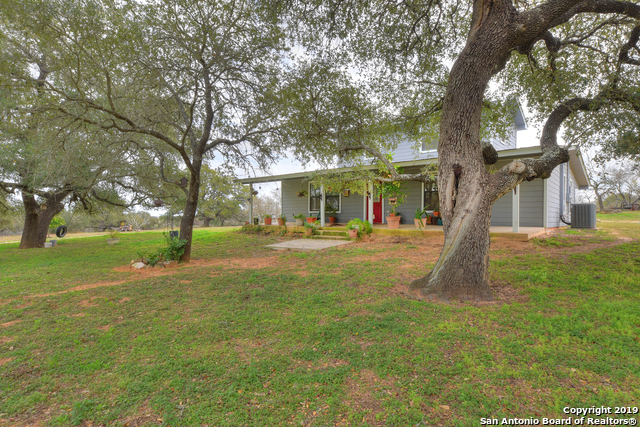 This home is located only minutes from San Antonio while featuring a HUGE 1.5 acre country living tract. This home checks off all the check boxes. Grab your part of Texas with the beauty which is surely not to last long!" "Beautiful new home in a new neighborhood. 3 bed 2 bath 2 car garage. Very spacious home with an open floor plan. High ceilings throughout the house. Home is approximately 1891 sqft. Kitchen is very spacious with a large pantry area. Big rooms . Master bedroom has huge walk in closet and full bath . Nice neighborhood with new construction homes. Property has many mature trees that make awesome shade. Come see before it's gone. Won't last long !!!" "Enjoy Country Living & No City Taxes ! New construction on 1.5 acres great for Family BBQ's, or Entertaining, 3 Bedroom,2 full bathrooms, open floor plan, spacious kitchen,custom cabinets, kitchen island,raised bar,granite counter tops,tile flooring,9 foot ceilings,plumb for water softener, 2 car garage with gargage door opener and plenty more!" "NEW BUILD ONE STORY HOME. OPEN FLOOR PLAN, HIGH CEILINGS, LOTS OF NATURAL LIGHT. BEAUTIFUL TILE FLOORS THROUGHOUT THE HOME. NEW STAINLESS STEEL APPLIANCES, GRANITE, PLENTY OF COUNTER SPACE. ENJOY THIS BEAUTIFUL HOME ON AN OVERSIZED LOT. NO HOA FEES!" "The simplicity of country living can be found in this rock/stone home that sits on a large corner lot. With mature trees and open spaces, come relax and enjoy this 3 bedroom and 2 bath home. Nice subdivision with sensible restrictions. No HOA! 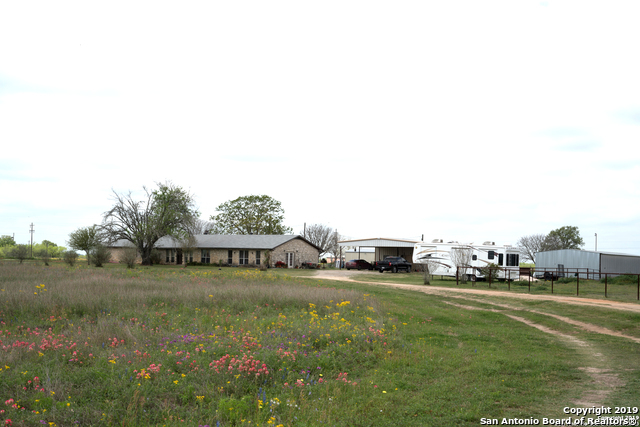 Property is nestled between Lytle, Somerset & Poteet. Easy access to 1604 & I35! Come see it today!" "WRAP-AROUND PORCH, SHADE, SHADE, SHADE. COUNTRY LIVING AT IT'S GREATEST! THE WORK HAS BEEN DONE. YARD IS READY FOR RELAXING. MATURE FRUIT TREES OF ALL KINDS. GRAPEFRUIT, ORANGE, LEMON, TANGERINE, 3 MANDARIN, C-PLUM. YOU HAVE TO SIT IN THE SHADE TO UNDERSTAND WHY I WISH THIS PLACE WAS MINE. 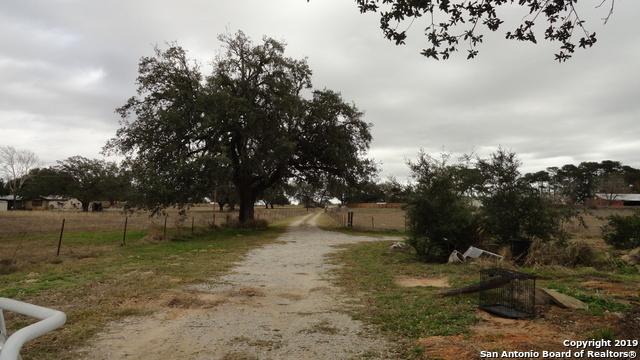 IT COULD BE YOURS... 2 ACRES OF PARADISE 15 MINS FROM SAN ANTONIO. PICS ARE OKAY, VIDEO IS BETTER(BY REQUEST). 2/1 WITH OFFICE, OPEN FLOOR PLAN WITH ROOM TO EXPAND . 626 SQ/FT 2-STORY STORAGE OR LOFT W"
"Beautiful home on Unrestricted 2 acres with mature tree's, fenced in yard area. This home is all tape and textured with a/c vents in the ceiling. It has a lot of upgrades like a sink in the utility room, new carpet in all bedrooms and 16 inch tile in Living room and hall. Open floor plan Great for entertaining. A must see home. 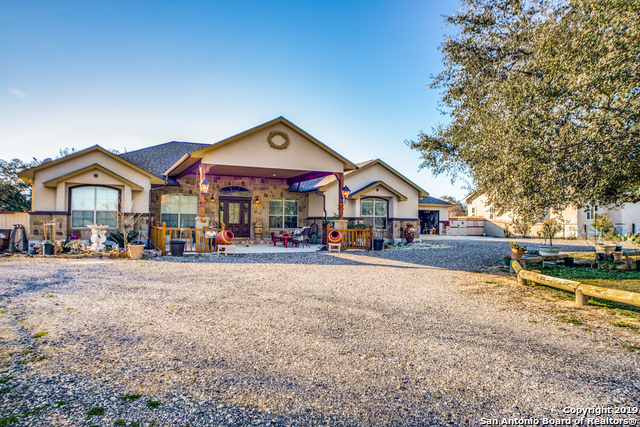 Come and enjoy the country living, but close to shopping and San Antonio. It won't last long! Thank you for viewing!" "! !CHECK OUT THIS BEAUTIFUL 2.97 ACRE PROPERTY W MATURE TREES!! There are two site built homes with separate electric meters. The guest house was built in 2010 and very well kept. There is also a large workshop and a storage shed on a cement slab. Room measurements are estimates. 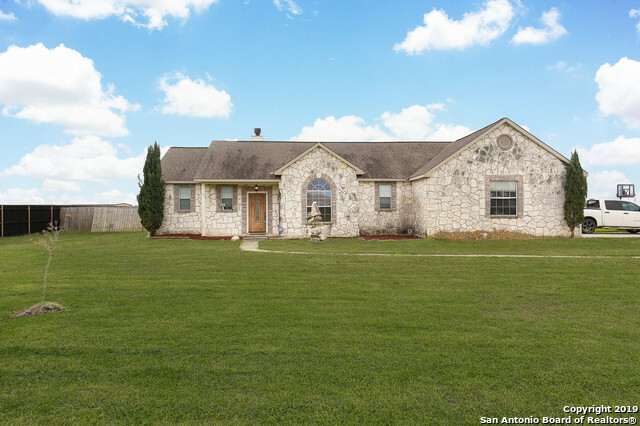 Located right outside of Poteet, TX with easy access to highway 16. Come see this great opportunity before it's gone!" "FULLY REMODELED !!! AMAZING OPPORTUNITY FOR A STARTED HOME WITH ELEGANT FINISHES AND ALL NEW ELECTRICAL AND PLUMBING !!! DO NOT MISS OUT !!! WON'T LAST LONG!!!" "If you enjoy living in the country, this is the place for you. One acre of freedom, take advantage of the price today. 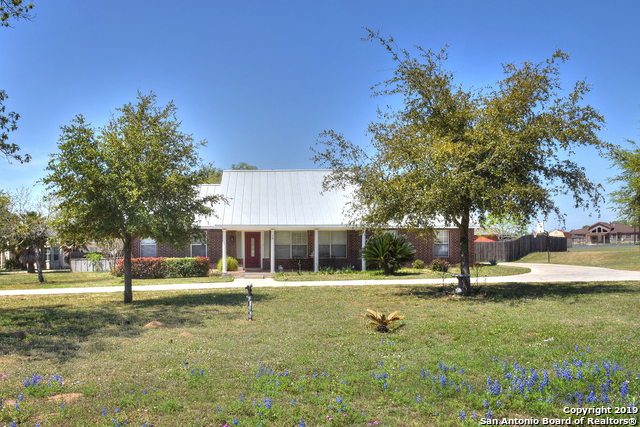 This wont last long ..."
"Come and take a look at this jewel in the lovely town of Poteet. This charming stucco home features a completely renovated interior that you have to see to believe! This 3 bedroom 2 bath home features an open floor plan, recessed lighting, fantastic kitchen with new cabinetry, granite countertops and subway backsplash. The master suite has a walk in shower and brand new double vanities." "COMPLETE REHAB! This charming beauty is a PERFECT starter home! Everything is brand new! New kitchen and bath cabinets with quartz countertops, new plumbing and electrical fixtures, new stainless steel appliances in the kitchen, new water heater, new HAVC system, attic and walls insulated, new double pane, low-E vinyl windows, new roof with ridge vent. A gorgeous new deck adorns the back yard! New sheetrock on walls and ceilings with fresh texturing and paint. 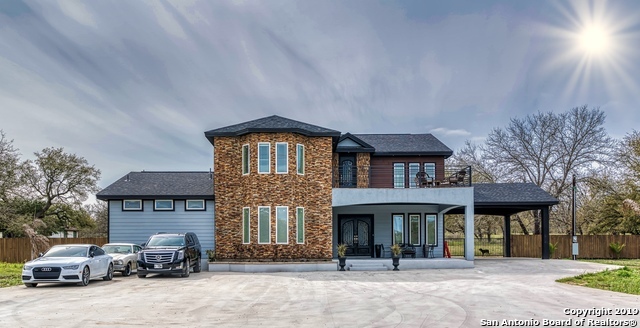 This home has it all for a very l"
"Out of the city and right off of HWY 16! !Park like setting with HUGE waterfall flowing into duck pond!! !Gated entrance on both sides of circular driveway!! Beautiful covered patio Cabana with outdoor kitchen!!! HUGE garage/workshop/MAN CAVE..Very nice! !Owner Finance is available!! Make an Offer! !Owner will work with you!!! Could convert to Commercial for business!!!"